Delicious and Sublime !! 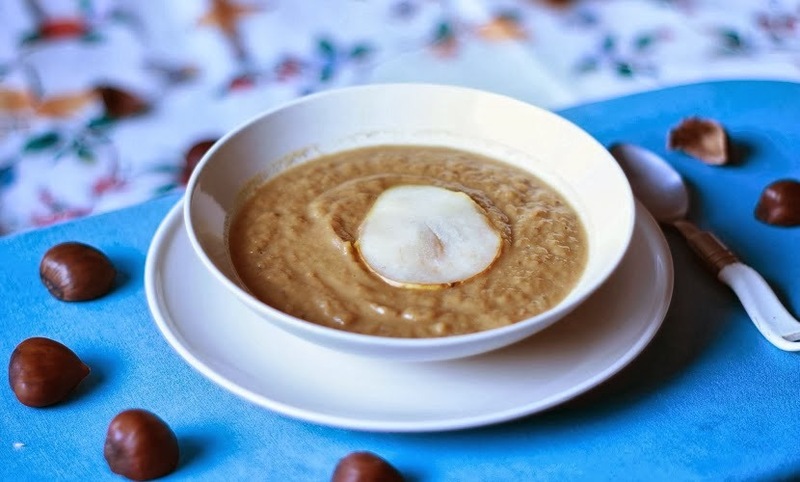 that is exactly what I thought about this Pear Chestnut soup. Had it not been for French Fridays with Dorie, I would have never known how delicious this combination can be. And the likes of my husband and son, who prefer to eat their fruits and nuts as fruits n nuts and not cooked and pureed into a soup... will probably never know how good this combination is. Being well aware of their preferences, I cooked only a sixth of the recipe for lunch today and really enjoyed it with a slice of bread slathered with butter. 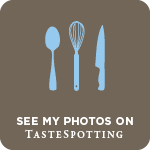 I generally have very high regard for Dorie's recipes and this one did not disappoint me. In fact I could get used to having it for lunch every single day of fall.. or till the flavors begin to tire my taste buds. I guess by habit I cooked the onions, leeks and celery to the point of caramelizing the onions. My soup therefore looks browner than it should be. However it tasted brilliant with the hint of thyme lurking in the background and that slice of pear on top. The flavors came across just right and I loved it. I'll probably cook it the exact same way next week when I make a bigger batch for my lunch. So much today. 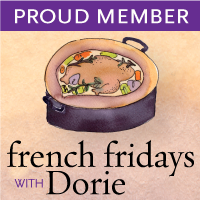 Visit French Fridays with Dorie to know what the other members thought about this soup. You can find a version of the recipe here . 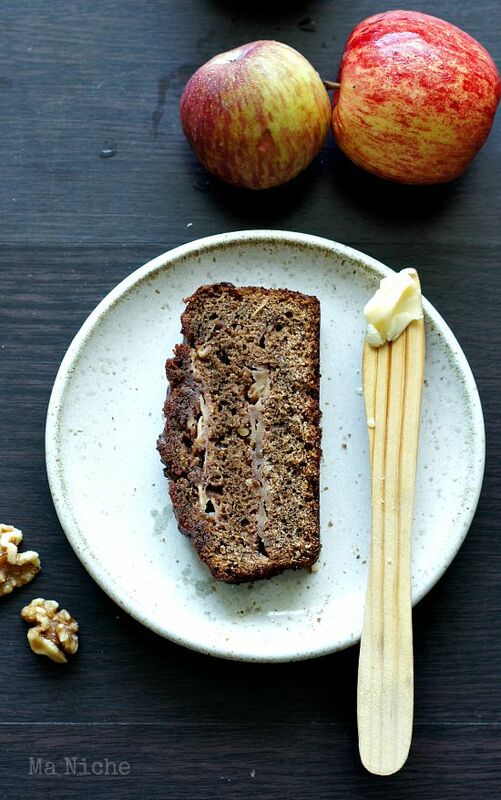 I almost used the same measures except that I used roasted chestnuts instead of vacuum packed ones and a slice of pear as garnish instead of a dollop of cream. For Dorie's original recipe and more such delicious ones order your copies of Around the French Table from Amazon or from The Book Depository and join us as we cook our way through the book. Your soup looks delicious. Great post. Looks awesome! Glad to hear that like me you will be making this again! Wonderful to hear that it was so suprisingly good for you. I have eaten chestnuts all my life and it is terrrific to hear when someone finds them appealing. Nice job, especially with new flavors. My husband also likes his fruit and nuts as fruit and nuts, and NOT together. I made this for myself, though I made a whole pot, ate it for several days and froze some for next week. I liked it too. Glad you will make it again. I totally agree with you opinion on these unusual flavors. We didn't know what to expect but were delighted with the results. I will definitely plan to make this again during this time of year- it was a lovely way to celebrate the season. That sounds like a perfect lunch for one. This soup was really a pleasant surprise.